15 September 2010: FxPro Financial Services Ltd (FxPro), a leading global retail broker in FX and CFDs today announces the launch of its new application the FxPro b Trader for use with BlackBerry® smartphones. Traders wanting to access the FxPro platform for use with BlackBerry® smartphones can download the application at www.fxpro.com. It will initially be available in English, Spanish, Greek and Russian. The FxPro b Trader provides FxPro’s clients with instant mobile access to the financial markets, allows them to view their trading portfolio history, and delivers live streaming of the latest market news. 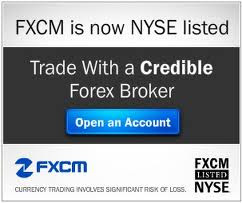 The FxPro b Trader’s user friendly application delivers confidential and secure trading operations. With a single click of a trackpad or tap of a touch screen, FxPro clients can open, modify and close trades, open and modify pending orders, order confirmation, and use trading charts with 5 different time bands. FxPro’s platform is compatible for use with BlackBerry® smartphones using OS 5.0 or later operating systems. It connects either through Wi-Fi or mobile networks and automatically switches to the preferred Wi-Fi network when in range to avoid mobile network charges. 1 September 2010: FxPro Financial Services Ltd (FxPro), a leading global retail broker in FX and CFDs today announces the appointment of Michael Sarris as Non-Executive Director. He assumes the role on 1st September, 2010. 22 June 2010: FxPro Financial Services Ltd (FxPro), a leading global retail broker in FX and CFDs, has today announced the addition of support for Hungarian, Portuguese and Turkish across its trading ecosystem. With the launch of the three localized web sites, the company now enables comprehensive customer engagement in 14 languages, supporting a trader base that spans more than 120 countries. FxPro’s support for these new languages is delivered at all customer touch points, from the corporate Website, across the company’s extensive trading platforms, and throughout its industry-leading 24/7 customer support system. The entire user experience is facilitated in the customer’s preferred language. The client-focused initiative is designed to meet the needs of a diversified customer base and foster a closer relationship with a more user friendly environment to give the consumer more control and clear understanding when interacting with the company and their trades. FxPro will continue its localization strategy, with new language support announcements forthcoming.